This is the 5th Roland Snow (best of show) award that Drexel team won at the Ceramographic Competition of the American Ceramic Society in the past ~10 years (plus numerous awards in almost all categories: SEM, TEM, mixed techniques, undergraduates, etc.). 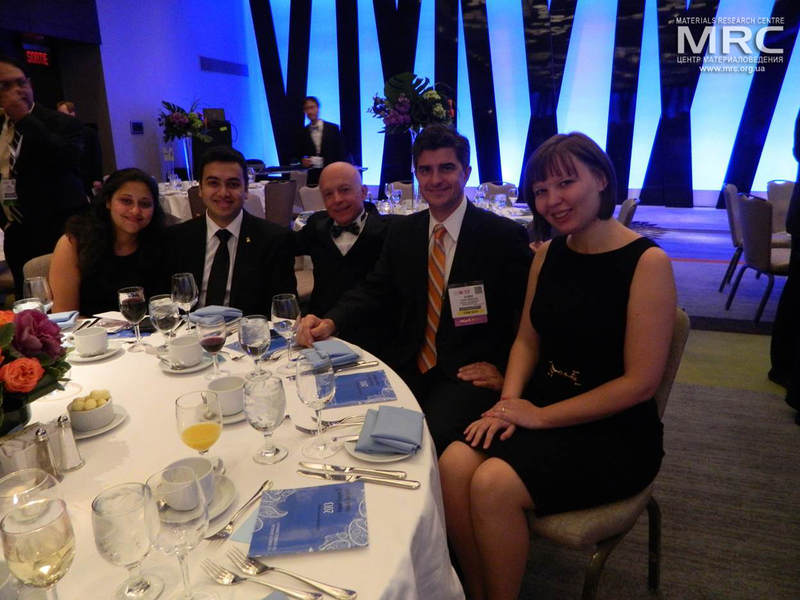 For the second year in a row Ph.D. students Babak Anasori and Michael Naguib, Drexel University, received the Roland B. 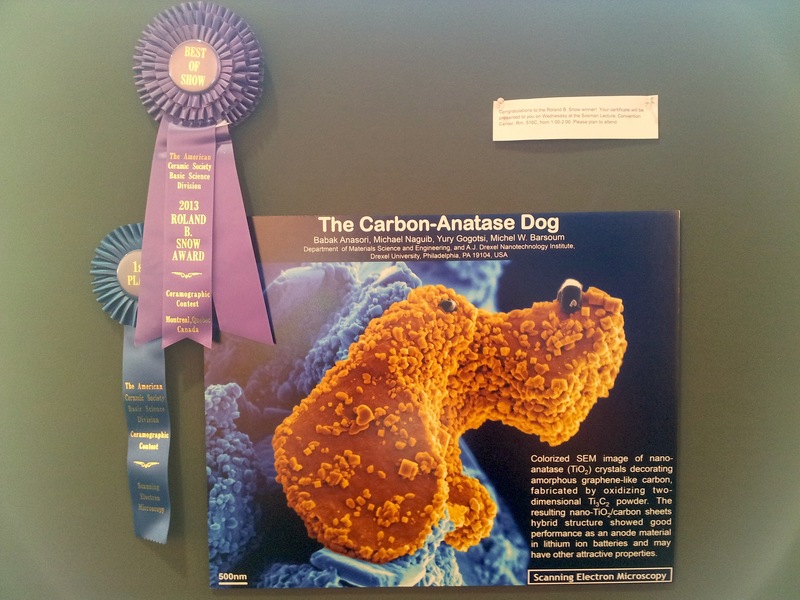 Snow Award from the American Ceramic Society for their work on “The Carbon-Anatase Dog”. This award is presented for the best ceramographic work at the annual meeting of the American Ceramic Society (ACerS) during MS&T and consists of a monetary award and a Steuben glass artifact. 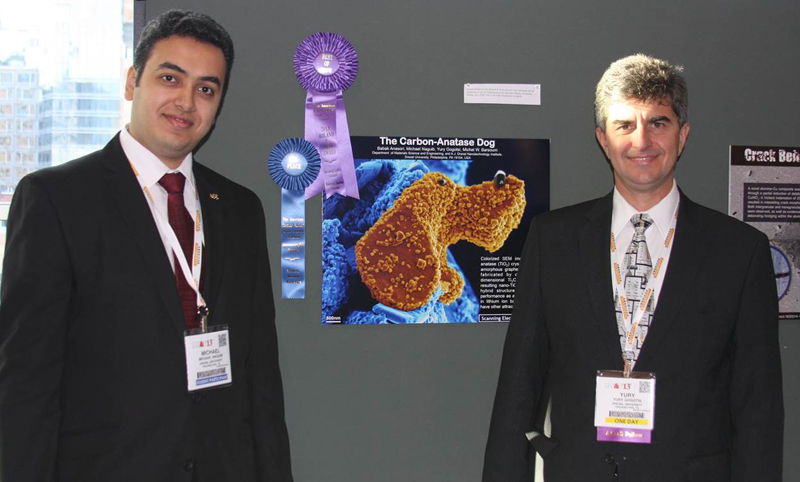 Their entry also received the first place in the Scanning Electron Microscopy Category. The SEM image that was captured by Babak shows oxidized Ti2C3 particles (Michael’s research). 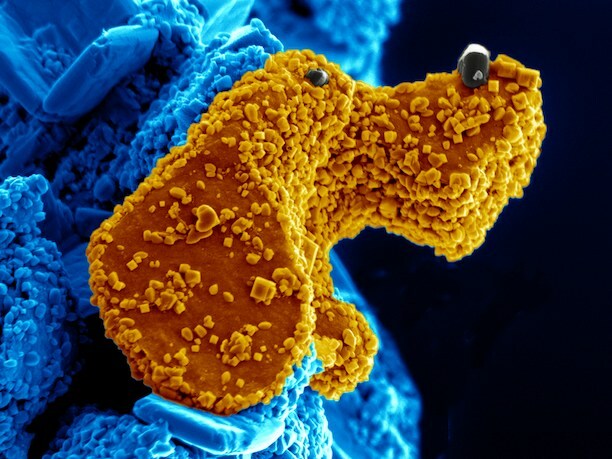 Colorized SEM image of nano anatase (TiO2) crystals decorating amorphous graphene-like-carbon, fabricated by oxidizing two-dimensional Ti3C2 powder. The resulting nano-TiO2/carbon sheets hybrid structure showed good perfomance as an anode material in lithium ion batteries and may have other attractive properties. The MS&T conference is taking place October 27-31 in Montreal, Quebec, Canada. 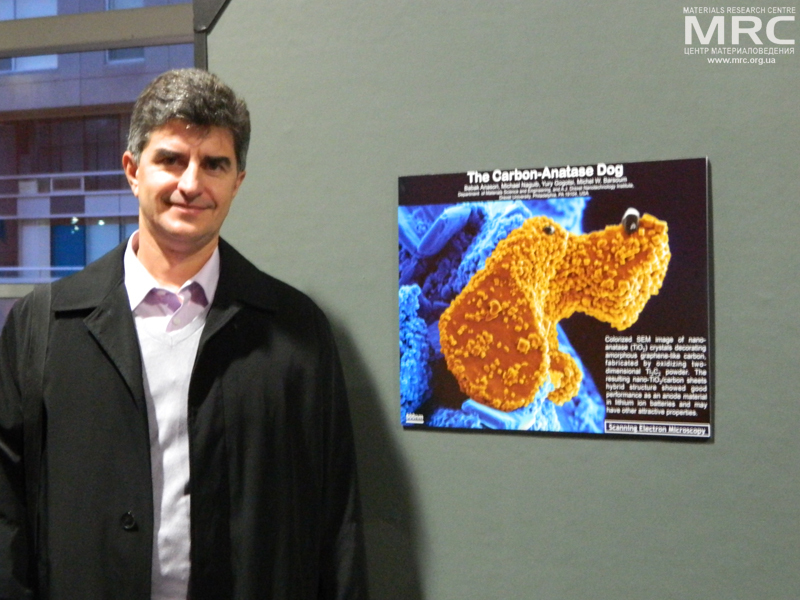 The Snow award was presented to the Best of Show winner of the Ceramographic Exhibit & Competition, an annual poster exhibit to promote the use of microscopy and microanalysis as tools in the scientific investigation of ceramic materials. The competition was held during the ACerS Annual Meeting and entries are prominently displayed in the Convention Center. The Best of Show poster will be published in a future issue of the Bulletin. Other entries may appear on the back covers of the Journal of the American Ceramic Society throughout the year.